I have always struggled with weight as far as I can remember. I suffer from PCOS which makes it harder for me to loss weight and hold onto weight in my abdominal area. I started to put on the most weight in my late twenties due to depression and a traumatic experience in my life. I turned to food for comfort. My life was affected by my weight in many ways…..it made me start to self hate myself, meaning the sight of me in the mirror was something I loathed and avoided at all costs. My self confidence diminished big time and I started to hide my true feelings behind laughter and a smile so those around me never knew what I was feeling inside. I always felt uncomfortable in my own skin and like the “fat” girl of the group. I would avoid certain situations such as a beach day, swimming in a pool, rides at amusement parks, and so much more due to either not being physically able to participate or the thought of looking like a fool or not being able to go on the ride due to my size. It destroyed my self confidence I think I settled in my previous life whether in relationships or friendships just to be accepted or loved because at that time I didn’t love myself. 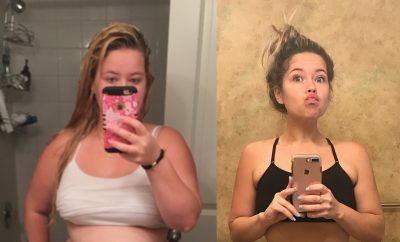 I believe the turning point for me was waking up one day and looking in the mirror and realizing how much of my life I have wasted being unhealthy, miserable in my own skin, and wanting so much more in my life. I was suffering from severe gastric ulcer, getting sick a great deal, out of breathe, becoming very lazy and finding excuses not to do things. The self hate just started to becoming unbearable and a change needed to happen. 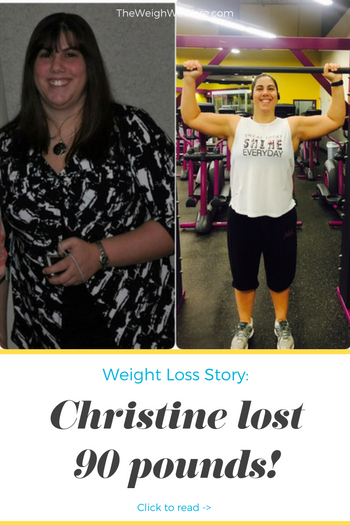 I decided to look into the Gastric Sleeve surgery. I felt I needed to make a drastic change in my life in order to loss the weight and get back on track with my health. I met with my surgeon for my consult and hearing all about the surgery I decided this is exactly what I needed and booked my surgery. I had my Gastric Sleeve surgery on 11/14/14. Prior to surgery I was informed I needed to loss some weight before to surgery to prove I was serious about this huge commitment in my life. I dropped down to 273 lbs on my own prior to surgery and something just clicked that now was the time to become the person I always wanted to be. I had a few complications after surgery and a 24 hospital stay turned into a two day stay. I was regretting that surgery at this point due to feeling miserable and second guessing it. I was beating myself up for being a disappointment and not being able to loss the weight on my own. I will never forget that last day I was doing my walking laps around the hospital and seeing a scale in the corner. I walked over to it and got on the scale and in that moment my life changed. I saw that I lost 10 more pounds and broke down crying in the middle of the hospital. These weren’t tears of sadness but of pure happiness. I had the realization that this was the best decision I made for myself and my life was about to change….FOR THE BETTER!!! From that day forward I pushed myself harder than I ever did in my life…I signed up for the gym, started meal prepping my meals, measuring everything, holding myself accountable for everything and stopped with the excuses. I started to notice a change within me emotionally, physically, and mentally. I started to put me first and saw this growing each day since surgery. The challenges I had to overcome were I hated going to the gym. I always felt like everyone was staring at me, the “fat” girl. Even though I know they weren’t, but I was so self conscience and the amount of anxiety I had going to the gym was insane. I had the worse case of self loathing and hating who I saw in the mirror. I had to stop turning to food as comfort food when stressed out or for coping. I had learn to develop new coping skills. During my journey, of course there are times I wanted to throw in the towel when I saw the scale not moving in the direction I wanted or as fast as I would have liked it to. What kept me from giving up was during my journey I would take monthly pictures to hold myself accountable and at the same time I was seeing physical changes when comparing to pictures of my past. Even though the scale wasn’t moving quickly I was losing inches and gaining muscle and toning up. Seeing those changes made me crave more and wanting more. I now set realistic goals and goals that I know I can hit because I do not want to set myself up for failure. I also hold myself accountable so that when I do fail or not push myself I do not blame others like I use to. Seeing where I started is what keeps me going because I never want to go back to being that person ever again. I want to keep losing, toning, and being the BEST version of myself. 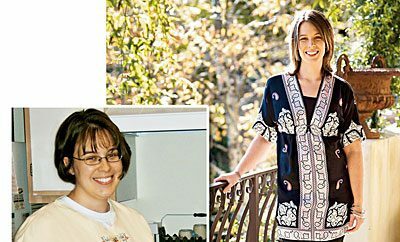 So when I was stalling and not losing anymore, I reached out to a woman in my one of my Bariatric Support groups, Tosha Knopp founder of Bari-Fit. She saw that I was malnutritioned and the reason I was stalling was that my body was holding onto the fat due to not knowing when my next meal was. She set me up with a Macro Plan for me to follow to ensure I was eating the proper amount of Macros my body needed in order to loss the weight I so desired. This was the changing point for me because I finally saw the scale dropping, toning up a great deal more, no longer fatigued, no longer losing hair, feeling energized, and finally eating properly. Unfortunately after surgery I was not getting the proper nutritional help by my surgeon and his team, this was doing more harm that good to my body. Beyond thankful I found Bari-Fit and it got me back on track. 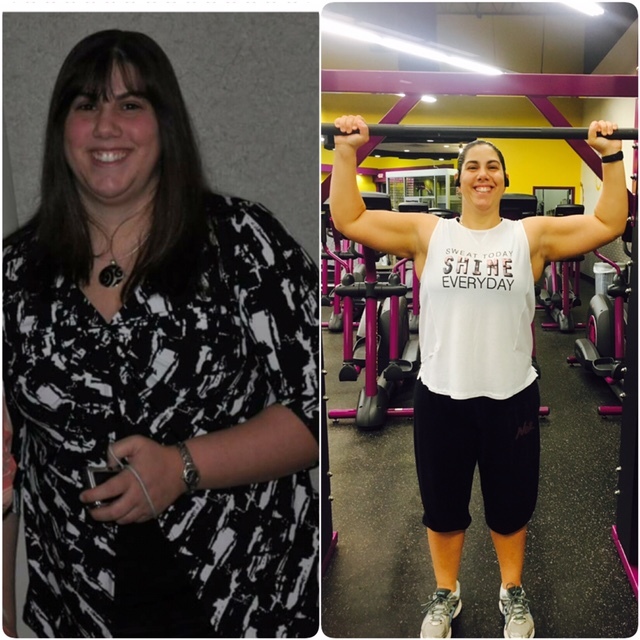 Being a Bari-Fit member allowed me to start seeing these changes happening again and I started to become more and more interested in fitness and nutrition. It made me become more educated with eating and exercising properly. I am not exactly certain the amount of time it took to loss the most amount of weight, however, I will say this entire journey I have had my ups and downs with the scale. I have PCOS which causes me difficulty to loss weight as quickly as others due to my body having a difficult time breaking down sugar and carbs. At times my body holds onto weight and the scale barely moves, but measuring yourself is key because even though the scale might not be moving inches could be lost. I have had a ton of non-scale victories during this journey the best one has been seeing myself no longer fitting in my clothing and watching my XXL clothing slowly vanishing from my closet. I am now down to an LARGE size shirt which is HUGE for me, I cannot remember the last time I was able to fit into a LARGE. Another non-scale victory was seeing the strength and endurance I have gained while working out at the gym and seeing this increase daily. To see my self confidence increase and finally liking who I was seeing in the mirror inside and out. To see myself finally not avoiding the camera and feeling so comfortable in my own skin to take selfies and be in pictures vs being the one to take them. To see myself becoming comfortable in my own skin and start posting pictures of myself during my journey online and knowing my journey was starting to inspire others. To gain the self confidence and passion for fitness & nutrition that I went and got my certification at ISSA for Fitness Nutrition and Fitness. To become a Fitness & Nutritional Coach for Bari-Fit and working under the woman who changed my life Tosha Knopp founder of Bari-Fit. To finally be able to help others along their journey as she has helped me. To finally want to go to the beach, feel comfortable wearing a bathing suit, go to the gym and walk in there like I own it, to just feel like the person I always wanted to be….it truly is the most amazing feeling in the world. My daily diet is so different than when I was heavier. 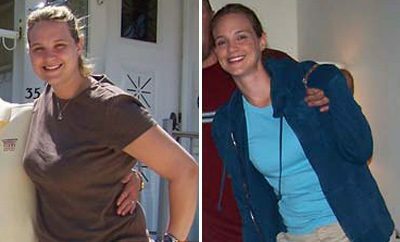 RELATED: Weight Loss Success Stories: I Lost The Weight And Look Great! I find that I meal plan on Sundays for the week. I don’t just wing it during the week, but I make sure my meals for the day fit into my tailored macro diet set for me to hit my goals. I find that I weigh and measure everything to ensure I stay on track. I eat lean meats, more veggies, less sugary foods and treats. I find that I turn to healthier options and read labels more than ever. I use to skip meals, stop by fast food places while traveling for work, eat larger plate servings of food and sometimes more than one plate of food. This is longer how I eat. I have changed my plate to a smaller size and weigh and measure everything. I hold myself accountable and log all of my meals into MYFITNESSPAL so that I can see what I am eating, ensure I am not overeating, and doing what I need to do in order to reach my goals. My physical activity has increased tremendously since I was heavier. I was more of a couch potato before. I would try to stay active but simple stuff like walking around and doing stuff I would get tired and my lower back would hurt. I have two herniated discs in my lower back and when I was heavier this would bother me a great deal and I would not be able to do certain things at times due to my back. My physical activity now is crazy…I get up and go to the gym 6 out 7 days a week at 2:30am and work out for one hour which includes lifting and cardio. When I am not in the gym, I try to do stay active which includes going for walks and just being out an about. I enjoy staying active and feel guilty when it is my “REST DAY” from the gym so that so that I only allow myself (1) true rest day and use (1) day as my ACTIVE REST day which includes going for a walk or something. I find that I feel more alive after a day at the gym and when it is my one true rest day I think about what I am going to tackle at the gym the next day. Biggest Tip — DO NOT EYEBALL your food, weigh everything to ensure you are eating the proper amount of food. This is so important because you are completely overeat when not weighing and measuring food without realizing it. Eat SLOW!!!! It takes the body up to 20 minutes to realize it is full, so it is important to eat slow. Take a break between each bit. When you eat slower you will find you get fuller faster and then in the end up eating less. Stay HYDRATED — water is so important. You definitely want to ensure you drink tons of fluids. Stay away from too much caffeine and try to avoid sugary drinks. Exercise — you cannot out exercise a diet. Diet and exercise go hand in hand. You have to work hard for things you want, it doesn’t happen overnight. Get out there and work out…whether it is at a gym or purchasing weights and items to create your own personal gym at home. It is so important to incorporate exercise into your day. Make time for you and schedule your gym time like a meeting and show up like a boss. We all have busy lives, it is a matter of prioritizing your day and making yourself important.Ask yourself, can you give up some social media or television time, can you skip a night out drinking and partying, can you get up earlier and hit the gym…..what can you give up in your life to get your work out in….. Diet — you need to make sure your diet is on point. You want to make sure you are making healthy food decisions in your life and cleaning out the junk food in your closet.You need to change your diet and eat healthy and properly to ensure weight loss and not try to loss weight by some magic diet or pill. All of these fad diets out there are that just diets.It is so important to make a lifestyle change and eat in a healthy and proper way so its not a temporary fix but a LIFESTYLE change to ensure you are always fit and healthy and a working towards crushing those goals.